Since when does cooling something down mean heating it up? Since physics, for starters. But also where passively cooled fanless computers are concerned. 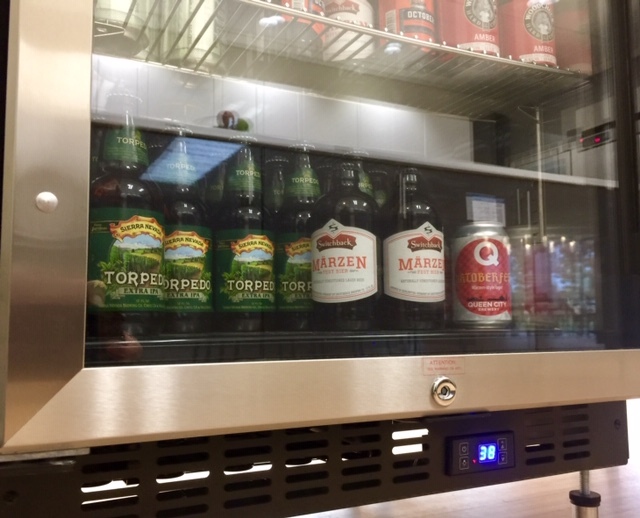 To understand how fanless PCs cool, you first need to understand how the beer in your fridge is kept cold. (Go ahead and grab one, we’ll wait.) That perfectly-chilled craft IPA got that way because your fridge was actively pulling heat from the bottle and ejecting it somewhere else. The principles keeping our beverages cool are the same ones responsible for cooling fanless PCs. This is due to the fundamental law that energy cannot be created, nor destroyed; it can only move or change form. Heat, a form of energy, will flow from hot surfaces to cooler ones naturally. It’s also important to observe that when there is more resistance between hot and cold, the surface temperature will rise. When the resistance is lower, the surface area temperature will be lower due to the higher efficiencies in the heat transfer. A refrigerator has the added benefit of using a compressor to rapidly pull and exhaust heat away from the contents inside. The warm air blowing out at your feet is actually the heat that was contained within your previously tepid IPA. The typical vented PC cools similarly, sans compressor, using a fan to exhaust that heat outside the computer chassis. This is generally an effective way to keep a system running properly. The challenge is that fans can, and do, fail, sometimes taking the entire system down with them. Dirt, dust, and grime build up on internal components and fan blades, gradually increasing its base operating temperature over time until its time is up. Traditional PCs have a dirty habit of sucking up dirt, dust, grime and who knows what else while cooling themselves. Fanless computers address this by removing the key failure point in most PCs. With a proper fanless design, air vents aren’t needed to circulate air, adding further reliability by sealing internal components from outside debris. But how does it stay cool when there’s no fan to circulate air, and no openings in the case, especially with sensitive electronic components inside? The trick here is to optimize the amount of thermal energy you can pull away from the systems’s heat generating components (processor, RAM, 4G card, etc.) and effectively dissipate into the surrounding environment. This is done not just with the design of the heatsink itself, but also by minimizing the number of junctions, or thermal transfer points, the heat must travel through. A path with the fewest stops is more efficient than one with many along the way. Surely, having this much heat trapped in a sealed metal box along with sensitive electronics is a recipe for disaster, right? Not necessarily. It’s important to draw a distinction between what a person considers “hot” and what “too hot” means to a computer. A person touching a surface between 50 – 70°C will immediately learn that they don’t want to be touching it for very long. However, industrial electronics can chug along quite happily in this range and beyond, up to 90°C. In Logic Supply fanless computers, heat travels through thermal conduction modules from heat sensitive components, such as CPUs and power supplies, to the external body panels of the computer chassis, which serve as a giant heatsink, with a broad surface area and heat dissipation fins. This distinctive haircut isn’t for show. This design allows for heat to convect and radiate into the surrounding environment, cooling the system. Good fanless PC design minimizes thermal junctions and dissipates heat over a broad surface area. The amount of heat a well-designed fanless system can dissipate is impressive. There is a large cooling gradient that forms from the exterior of the system to its surrounding environment, with the capability to keep even i7 and Xeon processors functioning properly at full workloads. This method of heat dissipation means that the heatsink and chassis are going to heat up as they’re working to cool down the system. Unlike many other electronics, if a fanless computer is heating up it’s a good thing. A hot exterior surface means the computer is successfully drawing heat from the inside and rejecting it quickly to the outside air. But how do you keep the system from overheating or becoming a safety hazard, especially if it’s running all the time? Keep in mind that the internal components that Logic Supply uses in our computers are rated to function normally within specific temperature envelopes, and that a lot of engineering and testing has gone into ensuring a proper balance between the amount of heat that needs to be dissipated and the amount of heat the system itself generates. When we’re designing fanless systems, we make sure that the system can operate within this pre-determined envelope, ensuring long-lasting reliability. We also use UL94 V0 self-extinguishing and non-ignitable materials for added assurance and as a prerequisite for UL Listing and CB Schemes. Internal power supplies can also be a source of additional heat, especially if a power supply outside of standard specifications is used. In this case, the power supply may become unstable. This could cause a number of problems, including heat issues and voltage or hardware failure. Our standard power supplies are external to the PC, allowing for effective cooling. Any additionally required voltage regulators inside the computer are cooled by conduction and natural convection that bring heat from the components to the external heatsink of the chassis. The cooling performance of our systems is also balanced against OSHA’s safe touch guidelines, ensuring the external surfaces and labeling are consistent with the safe handling and operation requirements for the product type. We’ve designed our systems to comply with UL 60950-1 and 62368-1 standards for safe operation and temperatures. We’ve designed our systems to comply with UL 60950-1 and 62368-1 standards for safe operation and temperatures. 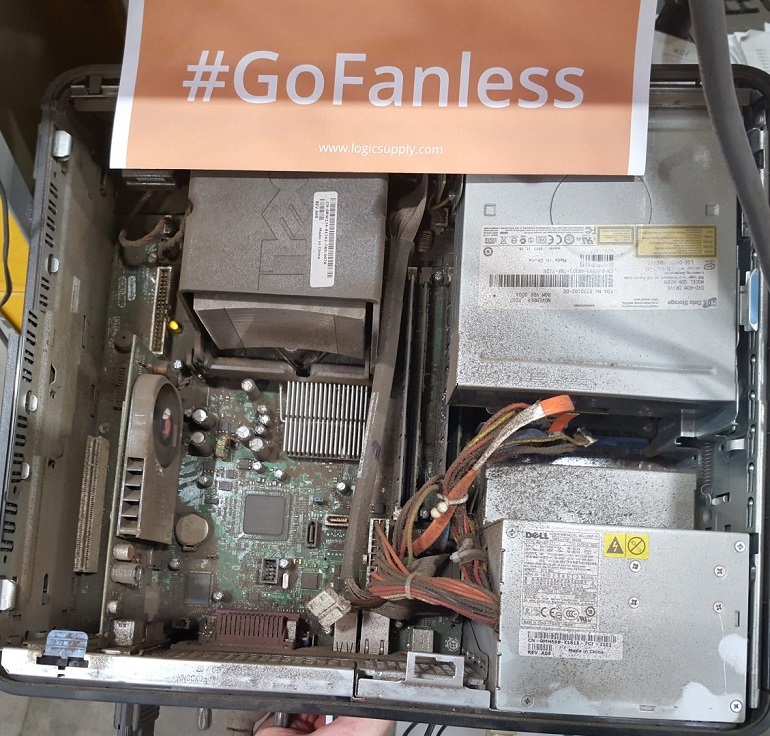 While it might feel counterintuitive that a fanless PC heats up in order to cool itself down, understanding that this is normal behavior for the system will put your mind at ease. When properly configured and installed, a fanless system can operate reliably for years without maintenance or failures. And if you’re an IT integrator or maintaining these types of systems, you can download our free infographic for reference or, if you’re a Logic Supply customer, request a “Passively Cooled PC” informational sticker for your installation at your project site via our Contact Us page. I am very impressed with this ramping-up of the standard heat sink technique. Given this technology and modern warm-running components, we can now achieve in small space what just a few years ago would have required expensive water or oil plumbing for the same packing density.